I got this pair of hands and distorted brain that sometimes I can't even draw one single, straight line using a ruler and I don't know why. Who else have the same problem like me? Is like the ruler is there, I will draw a line, then the pen/pencil I'm holding somehow got distracted and the line isn't straight. I'm graphic design student, seriously FML. Anyway, how does a person like me can have a diy french manicure then? The design that requires straight line on the tip of each nails. Fret not, there's this tool that can help and I'll show you how! And this is is - reinforcement ring stickers that you use to stick at paper that you just punched holes at so it won't easily teared off. 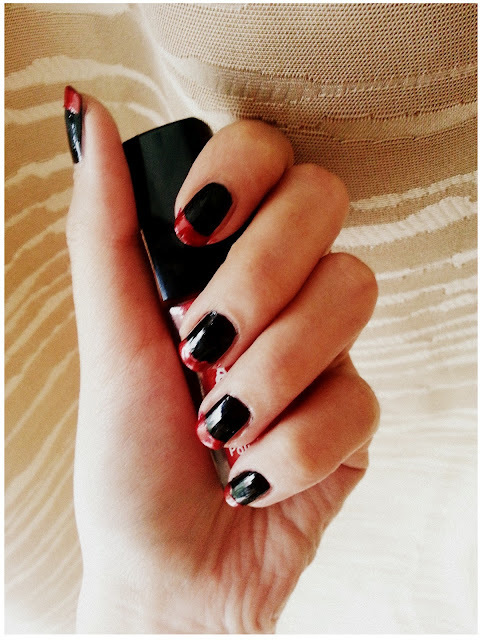 RM2.50 for 500pcs, imagine how many design of french manicure you can do with it, super cheap! Stick'em right at the middle of your nails. Tip: 1. 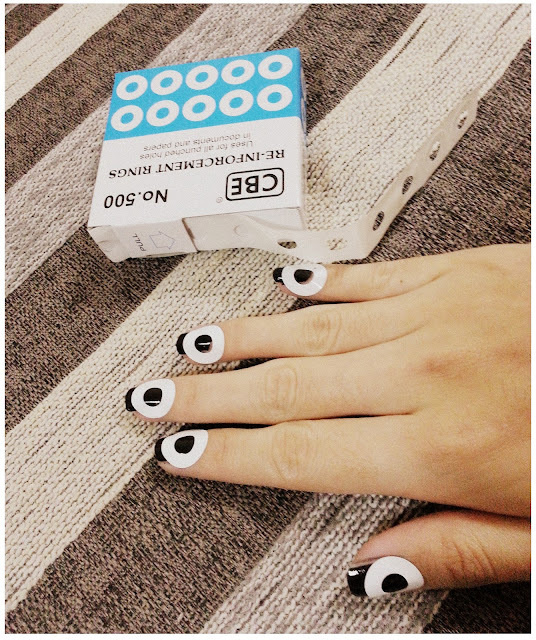 Never ever stick those ring stickers when your base colour nail polish is not yet FULLY dry! It will come off with the stickers and you will wanna stab yourself for it. Paint your base colour, let it dry totally, you can do something else while waiting for it. 2. Try to stick'em on your skin or elsewhere twice or more. If the stickers are too sticky, its adhesives will stick and stay on your top of your newly coloured nails and looks so horrible. The only way to cover this is to apply a top coat. 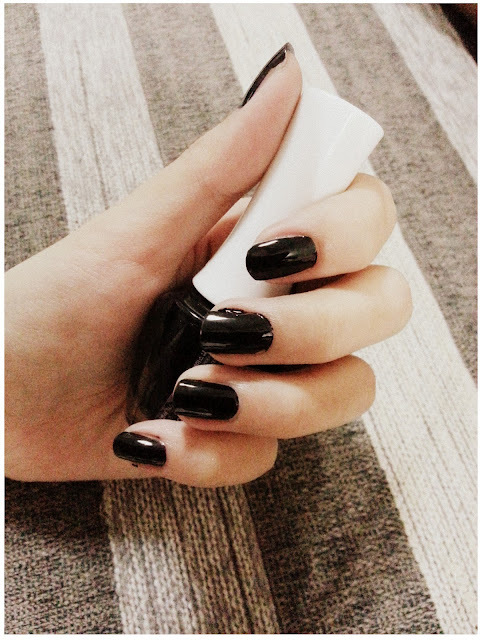 Apply the 2nd colour evenly of your choice for at the tip of your nails. Voila! My black x red french manicure! There's so many designs you can play with using the curve of the stickers!! Have fun playing with them! !